And here we go… Sunday morning in Kratie, Cambodia. Julian and I decided to take the next bus to go to 4000 islands, Laos. It was sort of a last minute decision but definitely one of the best decisions we have made in this trip. I read lots of stories about people crossing the border from Cambodia to Laos and I knew in both sides they like to add some “extra fees” for stamping your visa, when you leave Cambodia and when entering to Laos. So, with that in my mind, I was ready to fight! Bus drivers offer the service of doing everything for you without you even leaving the bus. This comes along with an extra charge, usually summing up to 37- 42 dollars per visa, depending on your nationality. The bus driver warned us in a rough tone saying “if you want to do it yourself it will be very full, so try to be fast, otherwise the bus will leave you”. At first I thought, OMG this is going to be very crazy, but half of our bus eventually decided to go out so we were not alone. Surprisingly enough when we arrived to cross the border, there was no line, literally 2 people in front of us. 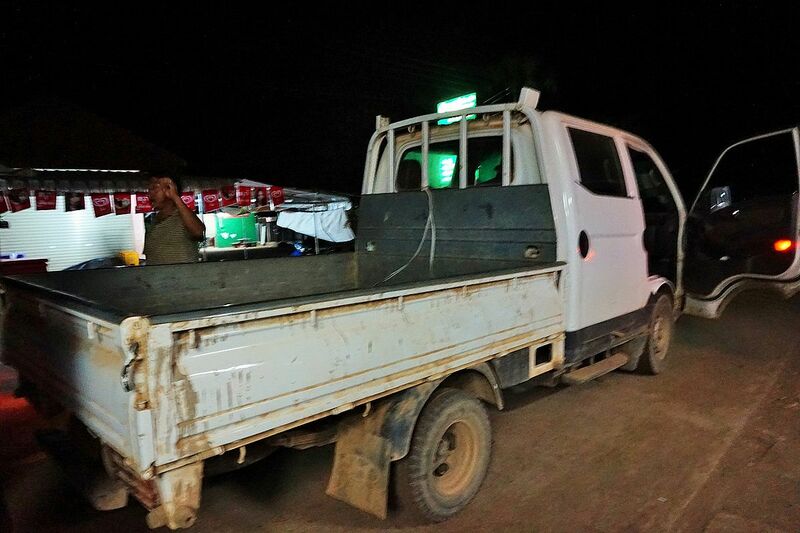 The Cambodian border officers asked for our passports and directly for 2 dollars fee. I refused to pay so he just flipped my passport back to me and continued with the next in line. Some people did not care and paid. But in between I heard a French girl saying “this is corruption, you cannot charge me that”. So I thought ok this is very unfair, the officers have all to win and us all to lose. 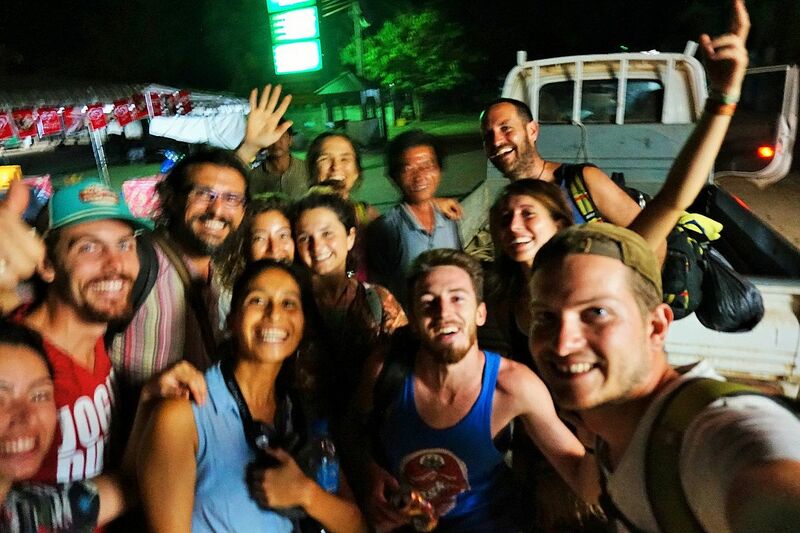 Julian told me “let´s make use of our left-over Cambodian money, after all we won´t use it again” so we paid the 2 dollars per person and crossed the border to Laos, about to face our our next challenge. From far away I heard “Mexico”, it was the Laotian officer calling me to pick up my passport. I went there and the “smart officer” showed me the passport and said: “is this yours?” me: yes! “ok, 2 dollars please” me: why? “hmmm, it is holiday today, so we charge an extra fee”. I started to laugh and said “nope sorry, this is not true, my embassy told me there are not extra charges”. So, once again, he just kept my passport and continued calling other people. Julian said the same and also neither got a “good explanation” nor his passport back. The officer kept on calling all the foreigners including the people of our bus and you could only hear “no, I will not pay”. At the end more than 25 people refused to pay. The officers were quite shocked, I suppose they did not expect so many people to say no. So, everyone waited – the officers for us to pay and us for getting back our passports. Julian and I were super calm, laughing and meeting new people, some people starting playing cards and it was like a small party, so the officers got quite frustrated. Suddenly, out of nothing, our bus driver came and said, “we are leaving in 5 minutes so hurry up”. We all looked at him and say: ok, but the officers are not giving back our passports. We paid the visa fee and are not willing to pay anything more. After a couple of minutes, the bus driver talked to the Laotian officer, seems that he asked him to give us our passports. Our guess is that the officer told the bus driver, leave or scare them, after all our bags were inside the bus, so he thought we will be afraid and eventually pay. 5 minutes later the bus driver started driving very slow and then…he actually left! I was for 2 seconds a bit shocked! After all our bags were still inside the bus, but then I thought, we have just clothes, nothing else. So we kept on waiting, and waiting. The officers told us, “ok guys at 6:00pm we are closing and we will bring all your passports back to the Cambodian border”. So we start having pressure, we were in the middle of nowhere and they had our passports. So one of our group said “ok we will give you one dollar per passport, no more, let´s do that”. So the officers agreed and some (including us) started to pay. We all did except 5 people – the warriors! 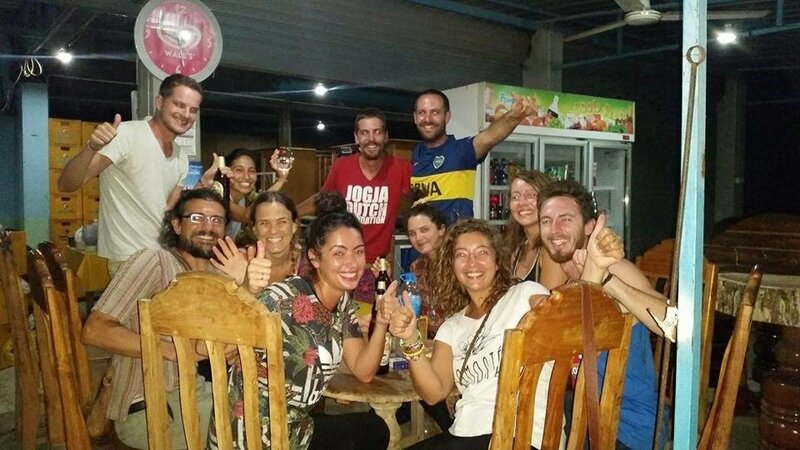 They said no and waited, so 2 minutes later the officer took their passports and pretended to go back to the Cambodian border.The warriors continued to fight and claimed that they want the money for their visa back! They got their passports back one minute later, without paying a single dollar. After all we were 11 people together: 5 French, 3 Argentinians, one Chilean, one German and one Mexican. So…we decided to walk. In the dark. We had some small lights on our heads leading us through the night, fighting our way through the intense smoke of the burning fields along the way. The goal was to to reach the next town (8 kilometers away from us). We tried to stop any bus or car which passed by but we did not succeed. After walking for one hour finally an old man with a pick-up truck stopped and brought us to town for 1 dollar each. We were so happy and once we arrived also found our backpacks all piled up in the bus office. We then had something to eat and drink and managed to stay together in a guesthouse in town with decent rooms. The next day we eventually managed to take a boat to the islands. What did we achieve? Being a team made us strong enough to fight together and at the end 5 people did not pay a single dollar…after all it was all about justice and proving that if people unite things can change! And the second most important achievement? Friends! Since then we travel together and share so many cool experiences until now. What a crazy but uniting experience that will be carried in our minds forever! Merci, gracias, danke and a big Khawp Jai Lai Lai for this story! Tribute to the heroic 11!